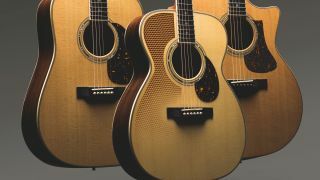 Eastman has released the Double Top acoustic guitar series, comprising three body shapes, each with an innovative top design. 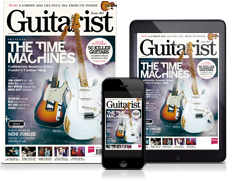 The guitars' soundboard is constructed with a pair of 1mm-thick slices of spruce, teamed with a 1mm slice of printed material called Nomex, resembling a thin layer of honeycomb. This Double Top design promises to deliver a “more resonant and responsive tone with greater note clarity and balance” across the DT30 Dreadnought, OM and GACE body shapes. Elsewhere, the models feature solid rosewood back and sides, mahogany necks, ebony fingerboards, plus bone nuts and saddles. Other features include Gotoh SX 510 tuners and an optional LR Baggs Anthem pickup (as standard on the GACE). The DT30D and DT30OM ($2,500/€2,499/£2,199), and DT30GACE ($2,999/€2,999/£2,650) are available now. See Eastman Guitars for more.